Sculpture Size: 2.25 X 2.75 in. Sculpture Size: 4.25 X 4.25 in. Sculpture Size: 4.75 X 5.5 in. One of Earth’s oldest animals, the snake has been both revered and reviled since the beginning of time. Snake is a sign of death and rebirth, of transformation and initiation into new realms. Snake is healing medicine and a symbol of both health and alchemy. The Kundalini or Serpent Fire lies at the base of our spine and can activate many internal energy centers, opening new dimensions of healthy awareness and creativity. According to the Chinese calendar, Snake also symbolizes clairvoyance, compassion and charm. 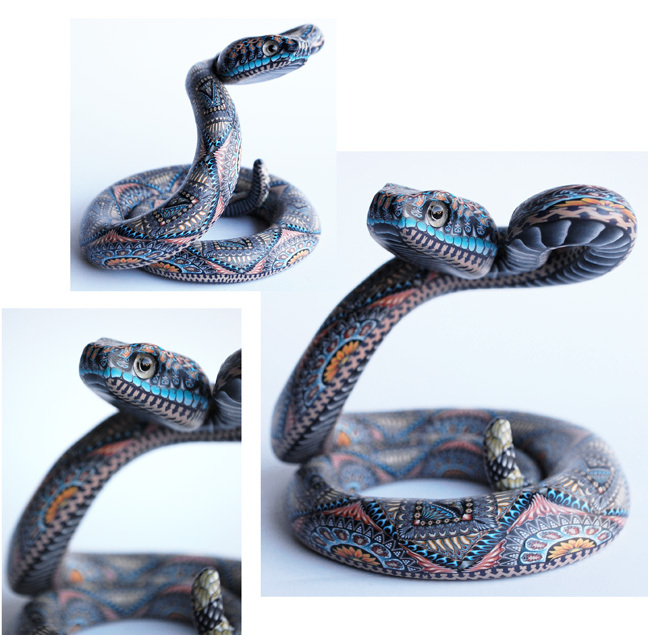 It is believed that Snake can foretell imminent challenges, and as guardians of secrets and treasures, can show us the ability to transcend from our pasts to our futures.